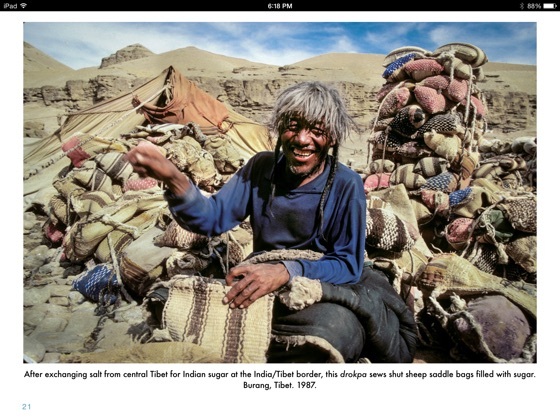 The 170 high-resolution photos (optimized for the iPad’s retina display) featured in the book are a distillation of more than 22,000 images that the Morrows have captured during their travels. — Climbing Everest in 1982 before guided expeditions created crowds and line-ups on the world’s highest peak. — Journeying 10,000 kilometres (partially by bicycle) around the Himalaya from Lhasa to Kashgar, and into Pakistan, northern India and Nepal in 1987. 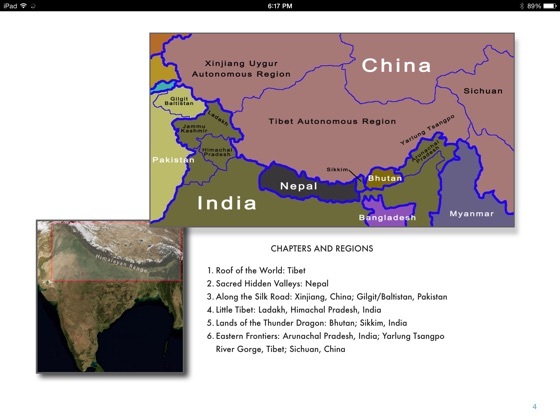 — Filming mountaineering expeditions and medical/educational organizations from Pakistan to Tibet and Bhutan. 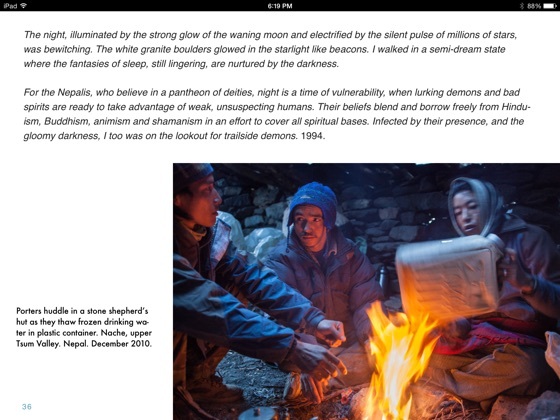 — Visiting shepherds in the craggy passes of Gilgit Baltistan and Tibetan refugees in Ladakh. — Meeting Tibetan refugees in the remote settlements of Arunachal Pradesh. — Trekking for the joy of endless walks at the top of the world. “Heart of the Himalaya” is a beautiful tribute to the people who are indeed the heart and soul of one of the world’s most challenging and magnificent environments. 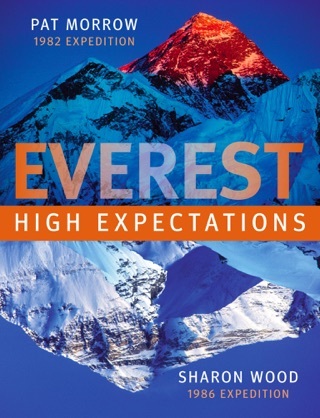 Pat Morrow is also author and photographer of “Everest: High Expectations,” a multi-touch ebook. I can’t think of another vehicle in which the human depth, breadth, width and diversity of the Himalaya has been so thoroughly yet subtley celebrated. Visually stunning, culturally enlightening, and thouroughly enjoyable in the best traditions of adventure and exploration. 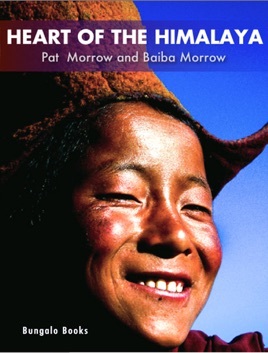 Pat and Baiba have spent a lifetime traveling amid the remote landscapes and threatened cultures of the Himalaya. 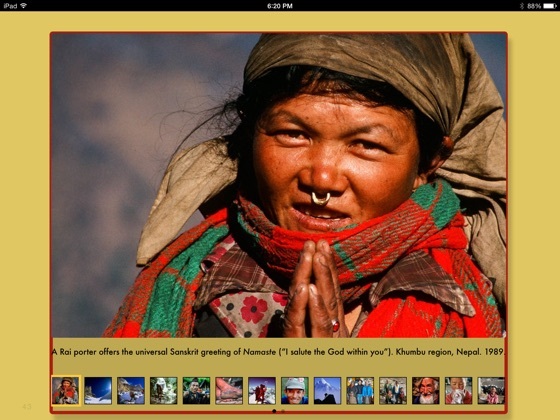 This e-book offers a rich glimpse at those hard-to-access worlds. 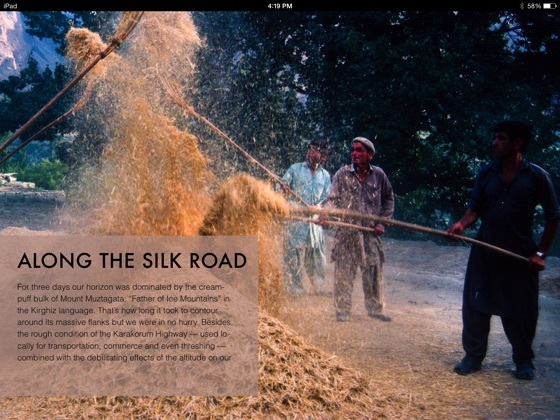 With heartfelt journal entries, entertaining video clips, and extraordinary photographs, it offers textured and nuanced insights into the tapestry of lands strung along the Himalayan chain. With this book, Pat and Baiba are also breaking trail, for the coffee-table book has yet to make a mainstream transition to e-book. But with Heart of the Himalaya, it is clear the movement is underway. For a fraction of the cost that you'd expect to pay for a coffee table book (and a fraction of the weight!) you can carry this beautiful manuscript on your iPad or Mac, and browse it again and again in airport lounges, beaches, hotels… slipping away to another world.